make a gift for someone to enjoy. Playful Wisdom transforms the experience of being a father, as many mother’s know, into a deep and profound state of constant learning and growth. Being a father today is not easy. The growth that occurs during the critical early years happens so fast and the changes are so profound that we can barely keep up. Fathers are often dazed by the blast. If we blink it is over and that moment will never repeat itself again. Professor of Psychology at the University of Notre Dame specializing in ethical development and moral education, and a fellow of the American Psychological Association. She is the author of Neurobiology and the Development of Human Morality: Evolution, Culture and Wisdom, Contexts for Young Child Flourishing: Evolution, Family and Society, Embodied Morality and other works. If there is reason to take the journey this journal invites it’s so we don’t miss the most important challenge of our lives and the most formative moments of our child’s life - because everything a father does matters. For most however, a child’s basic nature is formed while many fathers are rather distant, certainly by the first year or second. The role a father plays during this period is both essential and critical. If we get the beginning right the entire flight opens and continually expands as nature designed. If not, there is trouble at every turn, trouble for everyone. This labor of love began and as a personal reminder to not miss the moment. The insights on every page bubbled up drawing deep from the many years of experience and explorations that shape who I am today. The tapestry weaves four voices. There are the different feelings and perceptions being with Carly Elizabeth evoked beginning with our home birth-in-the-bath and how these were often different from the traditional role a father plays. There are echoes from the thirty-plus years interviewing hundreds of people invested in child and human development. There is the voice of my personal inquiry into the roots of violence as well as with I call the intelligence of play. There is the voice that has explored the nature and formation of the social-ego and the role it plays in limiting and constraining optimum learning and performance. And there are passionate and insightful quotes from two of my most rested teachers; Joseph Chilton Pearce and Bev Bos. Together these voices represent a choirs, at times both a deeply serious and playful melody found in every page. 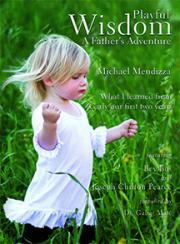 Psychologist, author of Parenting for a Peaceful World and Heart-to-Heart Parenting. Playful Wisdom is an intimate journal of an intimate adventure that transforms everyone who takes it. Helping along the way are insights from two of the most respected specialists of our time; Bev Bos and Joseph Chilton Pearce. Playful Wisdom is a meditation, a precious reminder to be touched every day with amazement and wonder, to be innocent once again, this time with wisdom as our wings. A renowned workshop leader, writer, lecturer, and pioneer in the field of pre and perinatal psychology. He is among the first in the world to develop prenatal and perinatal treatment methods for infants and children, is an expert in treatment methods for adults, and is recognized world-wide for his contributions. He is also president emeritus of APPPAH, the Association for Prenatal and Perinatal Psychology and Health. Author, PBS Producer and Founder of the National Institute for Play. Stuart is play researcher who writes, speaks, consults and educates organizations, corporations, universities, and public policy makers about the importance of play in our lives and the unexpected, serious consequences that occur when play is neglected. President (CEO), SelfDesign Graduate Institute. SelfDesign promotes authentic self-discovery and respect for the rights of all learners, young and old, to assume responsibility for their own learning paths. 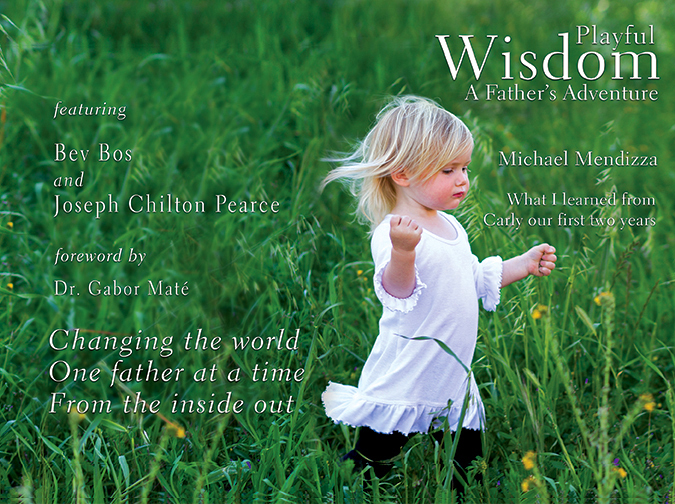 "Michael’s insights and participation as his new daughter Carly explores and integrates her world have profound implications for providing a positive future for every child, and by extension, the fate of human civilization. Playful Wisdom opens wide the doors perception into the new field of behavioral epigenetics, the science of how environment and our perception of the environment are responsible for controlling our genetic activity and health. Michael’s parenting studies are particularly relevant given our new understanding that late in life dysfunctions, such as cancer, obesity, and cardiovascular disease, are seeded by environmental influences experienced in infancy." Cellular biologist, author of The Biology of Belief, Spontaneous Evolution and the Honeymoon Effect. "Opening our minds and hearts to the joyous, curious, playful, zen-like nature of children helps us remember what it means to be “fully alive." Playful Wisdom: A Father's Adventure is delightful, especially the inclusions of Joe Pearce and Bev Bos as well as the skillful integration of the science that illustrates the remarkable development of a child's brain. Michael’s synthesis helps us better understand how miraculous children really are and how important it is that we nurture them to reach their full potential. Our future depends on it!" From the foreword by Gabor Maté M.D. PDF file with a special preview is available now. “The” gift and guide every expecting father receives from caring friends and relatives. Changing the world one father at a time – from the inside out. Four million expecting fathers each year in the United States (plus mothers, grandparents and early care and education providers). Eight million existing fathers and mothers with young children that renew each year in the United States, plus international markets. The neuroscience is conclusive: child development is model dependent. Ideally then, the focus of early childhood development would be to optimize the model-environment each parent represents. Most of the attention and preparation that pregnancy, birth and bonding imply focus on the mother. Then it is all about ‘the baby’. But what about fathers? The role that fathers play is often dwarfed by comparison, historically little more than a pat on the back and a cigar. Yet, the strength, active participation and support each father provides creates a foundation upon which the entire enterprise rests. Imagine each father being as aware, practiced and present, as many are approaching a three-foot putt, when relating to mother and baby during the most critical and formative months of his child’s life. Imagine each father discovering something new about himself every step of the way as he guides and mentors his child’s explosive self-discover. This is what being a father means today and the vision and practice Playful Wisdom invites. Playful Wisdom is the synthesis of raising three children, now ages forty, thirty and currently two-point-five, plus over thirty-five years researching, writing and interviewing hundreds of top experts in the field, including Joseph Chilton Pearce, author of thirteen books on expansive human potential, and Bev Bos, founder and director of the Roseville Community Preschool, a keynote presenter at over 6,000 professional workshops for childcare providers and early childhood education. The passion and insights of both are featured extensively. Michael Mendizza is an author, educator, documentary filmmaker, stage and screenwriter and founder of Touch the Future, a nonprofit learning design center. He is the author of four books: Playful Wisdom: A Father’s Adventure; Magical Parent-Magical Child: The Art of Joyful Parenting; Flowering, a collection of floral and seascape images with quotes by Krishnamurti; and Always Awakening: Buddha’s Realization Krishnamurti’s Insight with Rinpoche Samdhong, with a foreword by His Holiness the Dalai Lama. Michael and his wife share two art galleries that feature designer jewelry, Czech art glass and photography.